It occurred to me the other day that people may not realize that a Dyna-Ski 17.6 Open Bow can be used for things other than the usual types of water skiing. 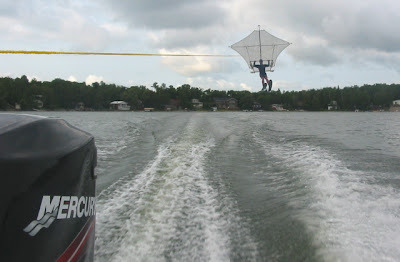 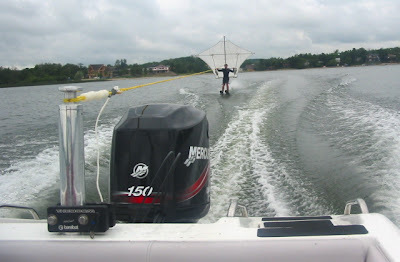 We have a para sail and we have used it behind my 17.6 Hydrodyne although I never have taken any pictures. 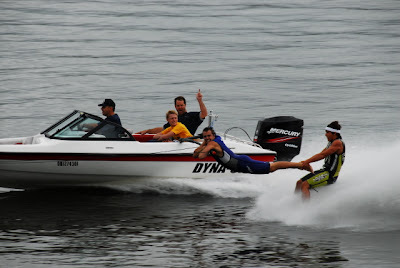 An owner of Dyna-Ski 17.6 Open Bow sent me the pictures below. 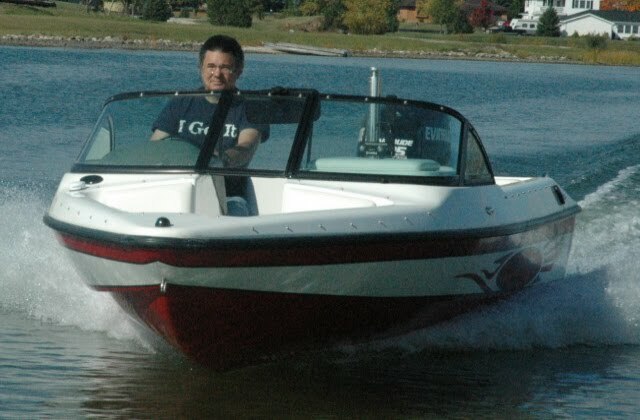 In addition to use as a personal ski boat he uses it as a ski team tow boat.